1. No Mass Production Machinery Involved: By definition, handmade jewelry is literally just that, made by the “hands” of the artisan or maker. The pieces are soldered, sawed, carved and shaped without the use of mass produced manufacturing machinery. A machine can crank out hundreds of units per hour while an individual can only make a finite quantity or fraction of the number of pieces in the same amount of time. 2. The Value of Time: As previously mentioned, since there are no machines involved, handmade jewelry takes an incredible amount of time to produce just a single piece. As a designer myself, I know I often spend hours designing a single piece of jewelry for a client. The time to make the piece often can take weeks. 4. Materials: In almost every case, the value of the materials involved in a handmade piece are of stellar quality. It’s difficult to regulate or even know exactly what alloys are used in mass produced factories where dirty metals are blended together to create costume pieces. Handmade materials are generally sourced from highly reputable suppliers. 5. 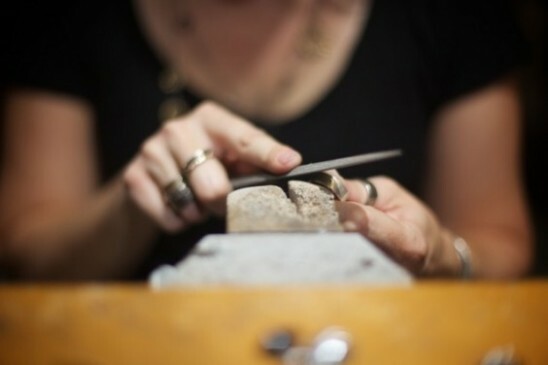 Sustainability: Jewelry Makers are often dedicated to sustainability and ethically sourced materials. By nature, being ethical can be much more costly than taking the easy route and purchasing from the refiner or dealer with low prices and shady sourcing. Once again, Emilie Shapiro always uses the highest quality materials sourced from suppliers who share her ethos about sustainability whenever possible. Smaller scale production is almost always higher quality. 6. Quality: Smaller scale production is almost always higher quality because the ability to track and control the process from start to finish is inherent in the making process. Makers and artisans are extremely proud of the work they produce. They aren’t going to let something of inferior quality leave their studio with their name on it. 7. Locally Made with Love: There is a lot of buzz with “buying local” these days. Reducing your carbon footprint and supporting local artisans is good for the environment and good for everyone. Artisans and makers infuse love and energy into each piece of work. There is HUGE value in supporting local from a sustainability and energetic standpoint. Along with the extra value inherent in handmade jewelry you are also buying a truly one-of-a-kind product. Even if the handmade piece is part of an edition – no maker creates two pieces that are exactly identical. You are the only person with that specific piece of jewelry which says a lot. Keep an eye out for this blue hand icon while shopping at UncommonGoods for handmade products! This is well presented, and thought provoking. Maybe more people will understand the investment in truly hand made jewelry. I disagree slightly with number 4 – there is still a large and I do mean HUGE amount of jewelry that is handmade where the materials are ordered in bulk from online stores that deal in materials and that stuff isn’t regulated – it comes from China and is full of lead. I love the idea of handmade jewelry too but I wouldn’t buy anything for a kid or teen that I couldn’t be sure came from lead free materials. Findings, clasps, jump rings – things of that nature are often purchased in bulk from overseas. I’m not saying don’t love and buy handmade – just be a smart consumer and know where the materials come from. Great article! Handmade items are much more special than mass produced! Lots of love is poured into them, and the items can last a lifetime! Since being family involved with jewelry since the age of three, I’ve watch in our own stores that time it takes to make the hand made piece or an original wax model. I am so proud that my wife’s store Seldin’s Trinkets & Jewelry in Red Bank, NJ can handle all of these special requests and in time for the holidays. Some of the authentic one of a kind American Indian jewelry is also awesome. The Seldin family has been serving the jewelry world since 1947! This was a very well done article also. A really well written blog. Well done and I hope you don’t mind me sharing it. Thank you for this article! Well said! Thanks for all of the comments, everyone! Tracy did a great job on this post, and we’re so glad to have opportunities like this to partner with Flourish & Thrive Academy. A few folks have asked about sharing the article. Please do! We’re thrilled that there is so much excitement around spreading the word about handmade jewelry. Handmade jewellery is so much more than just a personal adornment. You have explained so perfectly how all the work artists put in to creating the piece makes it all the more meaningful. Great article, well written. It helps for the consumer to understand the higher prices than “store bought”! Nicely written and illustrated. Beautiful words for beautiful works. An excellent article from the lovely Tracey Matthews! There cannot be enough education in this area. Even with explaining how each of my hand beadwoven pieces takes me several hours to create, I still get meet with the occasional offhand remark of my jewelry designs being too expensive from those who are unaware of all the time and skill that goes into the creation process. I completely agree. A dear friendof mine is a jewelry artist that uses old china pieces and sea glass to design her works of art. To see her work go to http://www.jl925.com. This was beautifully shared. Handmade jewelry is a true treasure and heirloom piece that ends up having meaning for the recipient, buyer and artisan. What a lovely post and that lace necklace is stunning. @NLS,I disagree with you. People who make a real handmade works will not include any Chinese products in their work. I avoid them and always wonder if customers care about what containing these metal components. Excellent blog and makes a good companion piece to my latest blog – http://ailleasdesignsblog.com/2014/11/14/what-is-art-worth/. I do have to agree that number 4 isn’t always the case, unfortunately. Handmade jewellery isn’t always handmade. Sometimes it is just hand-assembled with pre-made bits and pieces. And many of the jewellery ‘makers’ I’ve seen use stones that are not genuine, although they have been told they are. It is a veritable minefield. I would suggest that people be very sure that the price is an adequate reflection of the piece you wish to purchase. If it seems too inexpensive, it is not of high quality. I love this post, there is a lot of confusion around #4 and it is further muddied by sites that change the very definition of handmade to include items made in factories in other countries. There is a terrible disconnect between actual handmade and what is being sold en mass as handmade. Sadly, when the websites that claim to support handmade items do not do a good job of choosing sellers wisely, or clearly defining Handmade in the first place, it doesn’t help the issue. Buyers are confused because too many sellers will claim a 19.99 ‘gold’ ring is handmade, when in fact it was purchased wholesale from a factory overseas. Often times the same item can be found on Ebay for 4.99 from a factory in China. As real designers, selling TRUE handmade, our best option is to educate, inform and refuse to support sites that “hand wash” factory made goods. Thank you for highlighting the love, attention and time that is involved in creating handmade jewelry. As an artist, I am often challenged with competing on price, although my work is so time consuming. There is value in obtaining a piece directly from the artist, rather than a mass produced item from a store shelf. Excellent article. I have tried to articulate this many times but Tracey has put it beautifully, thank you. This is a nice list, but I take issue with your use of the term ‘investment’. An investment is something you buy because you expect it to provide you with income in the future. I have friends that are jewellers and I buy pieces from them because they make beautiful, quality work using fine materials. I believe that this makes their pieces a better purchase for me than some of the mass-produced alternatives. I don’t buy their jewellery because I expect to rent, use or sell it for profit. If I did, then it would probably end up being a bad investment anyway. @NLS What you are referring to is not really handmade. Many people make jewelry by assembling pieces together. In silversmithing we make all the pieces including jump rings (which are soldered closed) and make all the clasps etc out of sterling silver. Well said Tracy. I shall remember this points and they are so on the mark. 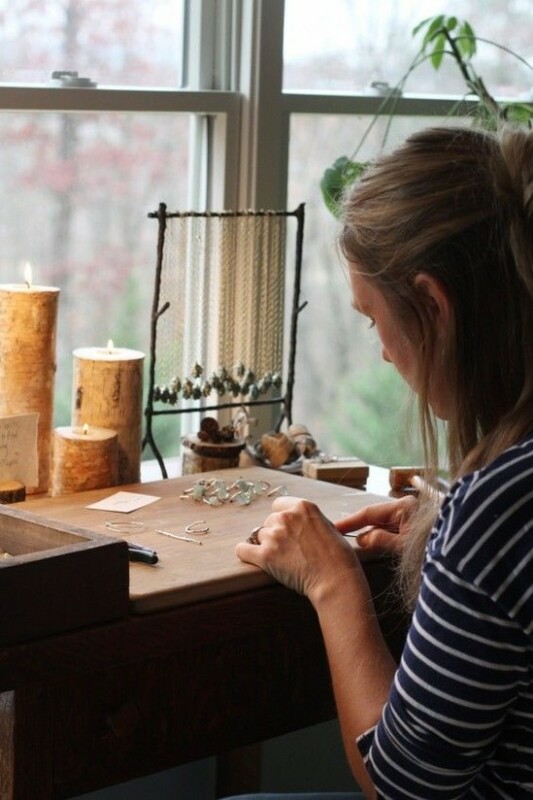 Thank you for pointing out many of the reasons why handmade jewelry is often more expensive. It is also important to keep in mind that these points hold true for many handmade items. As a jewelry artist I try to support other artists by buying handmade. That is awesome post, and so true! Thank you Tracy, for putting into words what jewelry artist have always known very well, but don’t always know how to express to potential customers without sounding defensive, or “SALESey”. Well written Tracy! A lots of words about classic jewelery approach and comparing with mas produced galvanized dirt metal jewelery , and that’s it, like there is no other way to make it ? Funny how classic jewelers know only about their own work approach , not much about modern design way, tools like metal lathe or water jet. Thank you for writing this article. It’s very important for people to realize that “handmade” means you MAKE the pieces by hand, not buy some pre-made pieces, glue them together and call it “your” work. When you make the items you’re gluing together, that will be “your” work. I believe some people commenting in this blog are interpreting handmade too narrowly. If you are a designer creating a necklace or bracelet using gemstones, up-cycled materials, chain, leather, etc., all made by someone else, is that not a handmade piece? It’s not factory made. I believe it is too limiting to say you need to make every element in the piece. To me, a handmade piece is unique and was created from the heart. You buy a chain. You buy a pendant. You put the pendant on the chain. Is that YOUR work? No. Right? Right. Very interesting post, I love handmade jewelry. Have to admit being a little confused. I am a custom jeweler working in a high end jewelry store. I work only in gold silver or platinum. Fabrication in metal or wax carving with lost wax casting is determined on a time basis, as in which is going to take the least amount of time. Nobody in their right mind would ever think of using lead as part of the alloy, it makes gold brittle! As a lot of stones are bought in select sizes, using a manufactured head cuts down on time. Yes I could make one, but for the time taken, no profit hurts the store. Hand fabrication takes time. As to this being an investment for the customer, yes as in their money! not something they could turn around and make a profit on. Handing something down to their kids fine. I really agree with the idea of buying local. That’s much more love involved when the product is handmade. Great article! Great article to make people aware that the time and effort for hand made is greater than the sum of the components. Very difficult to compete with the cheap mass produced stuff. 8. Americans can’t spell jewellery. I love that this conversation has taken on the ‘handmade’ discussion. It’s kind of a slippery slope. If you buy all your components pre-made (for example chains, findings, beads, charms) and create a necklace from them, is that handmade? What if you buy pre-made jump rings and clasps, but create a complicated chainmaille collar? Sure, you can spend time making your own jump rings, but it’s production work and results in exactly the same jump rings you can buy on the market – no difference. So even though all the components you are using are mass-produced, your final product is certainly not. And let’s not forget, the jump rings themselves are made from wire, and it is highly unlikely you will have fabricated your wire from a raw metal ingot (although you certainly could, and some metalsmiths do). On the other hand, you would hardly place a silversmith who fabricates a beautifully formed pendant and hangs it from a handmade chain with a hand-fabricated clasp in the same category as someone who purchases pre-made chain, clasp, and pendant and creates a necklace by combining them. But both create a piece of jewelry. And there are plenty of ‘one-of-a-kind’ high-end pieces of the second variety in stores and available at art fairs. ‘Handmade’ is a nebulous term. Buyer be aware. As a ‘maker,’ part of your job is to educate your client base. Make sure they understand the craftsmanship involved in the creation of your work. Make sure they understand the intrinsic value of the materials you work with. Show them as much of your process as you can. There is no substitute for identifying the maker’s hand in the final product. 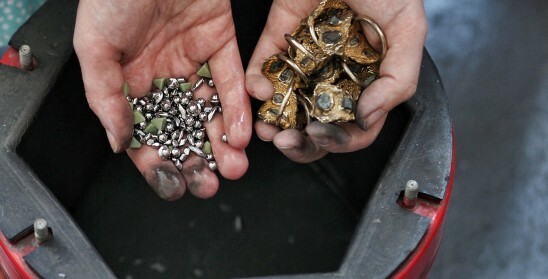 generally this is a good article and I agree with it, however I think it’s interesting that you talk about handmade jewelry but show pictures of castings… castings are not handmade… they can be hand finished, but until you can pour molten metal with your hands, it’s not handmade. Jane, if you don’t mine your metals, it’s not handmade. You can definitely reblog the post. We don’t have a specific reblog button, so please make sure to link back to the original post. If the original piece is hand carved and made by hand then castings are a natural process in handmade jewellery.if we want a viable business this has to be allowed or prices would be too far out of reach for a jeweller to make a regular living.However casting items such as lace or other items then although hand finished and designed ..can not be described as truly handmade.We cast.but make all out models from sculptured silver first.So the finished piece has been carved and created by us from the medium we use.ie.not wax or silver clay:-) then cast and then completly hand wired weaving to finish by hand individually. and our prices reflect that.we wouldnt want to decieve. This is a really nice post. 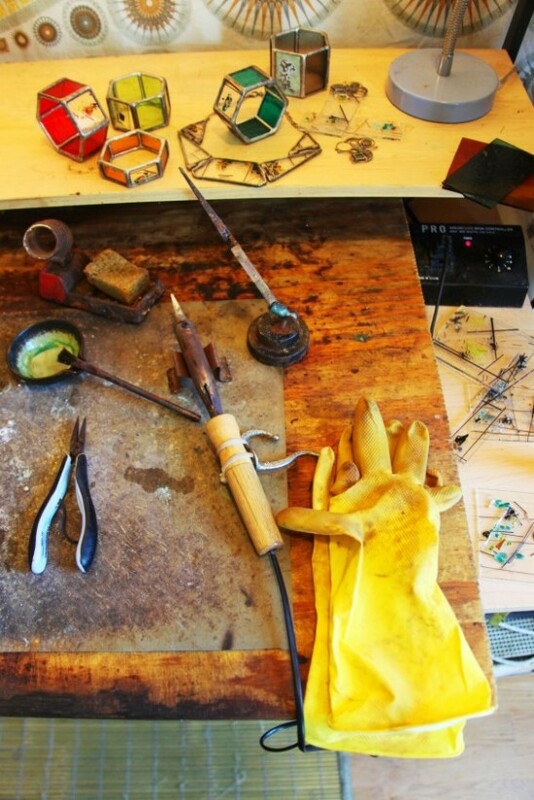 You breakdown the process of making handmade jewellery well, and use great visuals! I make handmade jewelry. You have done a good job with writing and graphics. We don.t all use casting, you know. Handmade jewellery have an authentic look and can be worn on any outfit. 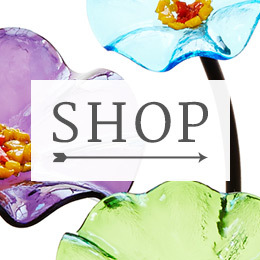 They are great for gifting someone special. I agree with you that they are a good investment. 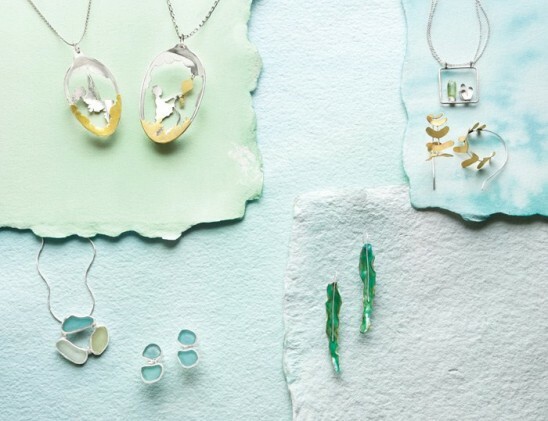 Great article about handmade jewellery. I have to disagree with the comment about casting referring to the work is not handmade. Lost wax carving has been used since ancient times. The Victoria and Albert Museum display specatular jewellery from centuries ago using this technique. In other words it is an ancient craft and very pertinent in traditional hand made jewellery. The original model still needs to made by hand either in wax or in a metal form and then after casting, assembled and finished. Thanks! My handmade custom jewelry designs (necklaces, statement rings, earrings) with crystal quartz, rose quartz and amethyst need help finding new loving homes! Hello, I really love this post!, I’m recently trying to promote my own handmade jewelry (I love making earrings with swarovski crystals). I need more likes on the facebook page to start the first raffle of one pair of earrings. I’ll appreciate the new “likes” if you like them 🙂 thanks! Good post. handmade jewelry is definitely special, a few reasons being they are usually unique in design and a lot of love, care and hard work goes into creating the piece and they make excellent gifts. Monica, love your reply to Jane, lol! Great article, the artist in me wants to agree whole heartedly about taking into account that you’re purchasing a little piece of the artist’s soul in every piece, but I’m not a jewelry maker I’m a painter. If I got emotionally attached to my artwork and factored that into my price I would never make a sale and so many talented artists are struggling to make ends meet because they don’t get that. Collectors, while looking to make an investment are also savvy shoppers looking for pieces that are competitively priced, and I think it’s probably the same for anyone purchasing jewelry even if it is handmade. I prefer to buy handmade jewelry because of what you are supporting when you do, just as you said. I also love knowing that there are no other pieces exactly the same. Thanks for posting! With the increasing ease of jewelry making, handmade jewelry is becoming an increasingly popular hit this year. A lot of amazing examples of handmade jewelry can be found on BoutiqueMexico. Head over and feel free to let us know what you think! The thing I liked the most about handmade jewelry is the time devoted in it. I loved to see how much time is devoted by the people while they design and make the jewelry and it seriously gives a feeling of pride and respect to wear it. This is a great article. We have just come together to try and sell our handmade jewellery and its been quite a learning curve to discover that it’s a whole different beast trying to sell it Online while competing with mass produced jewellery. Having to spread your time between SEO, Online marketing, social networking while doing the day time job to pay the bills stretches you thin and doesn’t leave as much time to do what you love. It has been and continues to be a good learning curve for us, come check us out at http://www.afriartisan.com/shop/ and let us know what you think. I loved reading this, there is a sense of raw workmanship and artistry that you will never get from most jewellery that has been mass produced, handcrafted jewellery is craft that does not stand still with ideas, making the designs unique a one off. As a child I remember playing in the woods next to my childhood home and finding all kinds of different rocks. I would look at them and think “That would make a pretty necklace”. I enjoyed those times exploring when I was young and was always fascinated by nature’s treasures. I seemed to see more than “just a rock”. As I grew up I never pursued my appreciation of those rocks but I always found them fascinating. Even now when I’m strolling by a river or lake I have my gaze caught by the smallest and most intricate shiny “something” while I’m glancing down. My motivation for the previous reminiscing is a man by the name of C. R. Smith. He is the owner and operator, along with his wife Ilene, of Prospector’s Pouch in Kennesaw, Ga. If there is any example of a “real” prospector C. R. Smith is just that. I’m sure he had the same experiences I did as a child but he certainly has taken this intrigue to another level. With many years of prospecting under his belt he has grown a flourishing business with the passion that he has had since his early years. One of the rewards of this passion is a discovery that he made back in the early 1980’s that he has suitably named Georgia Midnight. 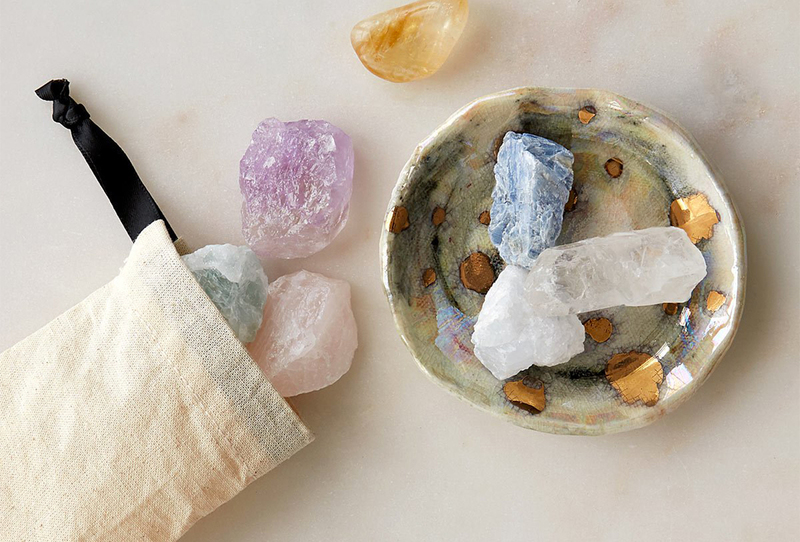 This one of a kind gemstone is so unique because it includes a large number of elements, including precious metals, all combined into one stone, which is very rare. There are 29 different elements present in Georgia Midnight. And C. R. discovered it right here in Georgia. Where you ask? Well that’s a secret that he plans to keep. After all…finders keepers, right? Georgia Midnight is exclusively mined for and sold through Prospector’s Pouch in Kennesaw, Ga. It’s a sight to behold and one of the most unique gemstones you may ever see. It has nuances of gold, silver and platinum with flashes of moon stone and sun stone all suspended in the deep black background that gives it its namesake. Once this gem is polished and cut it is then set into all kinds of unique and unusual designs to produce jewelry pieces that are one of a kind. You just have to see it. If you are looking for a special piece that is far from run of the mill, Georgia Midnight should be a strong consideration. It’s just that special. You can count on the classic and timeless artistry of Prospector’s Pouch’s designs to create a show piece that is unique to you or your special someone. The website is Prospectorspouch.com and you can see just a sample of the creations that C. R. and Ilene have to offer in this beautiful discovery of a Georgian geological treasure. In today’s world of smart phones and electronic devices it’s a lost past time to wander in nature and take the time to appreciate all it has to offer. Thankfully it’s something that C. R. Smith and his wife are still passionate about and they share that passion with the rest of us with the artistry they have honed over the last 45 years. Prospector’s Pouch is located at 2850 N. Cobb Pkwy in Kennesaw Ga. They also have a large selection of all gemstones as well as the spectacular Georgia Midnight. 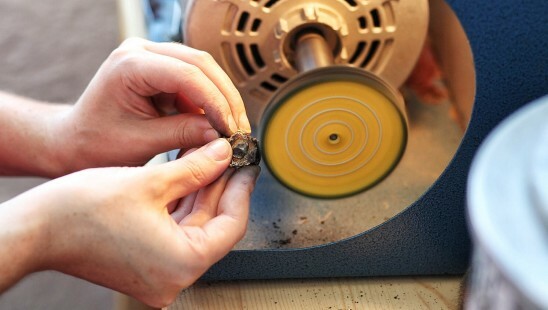 They offer full service lapidary services as well as jewelry repair and design. C.R. and Ilene are there on a daily basis and will make you feel right at home and maybe even part of the family. That’s what they do! Anything that is handmade is going to take more time, but also have a lot more care placed into making it and that improves the quality. Thanks so much for sharing. This is my handmade works. I would also add “unique” to this list. Handmade jewelry is like a painting–each piece has its own character, and is a little different every time. This gives handmade jewelry a personality that is sometimes lost in a manufactured piece. There’s a story of hard work and thoughtfulness in each piece! I would like to acknowledge the author for have write such a complete and amazing article. I recently read another post with complementary information about this topic. 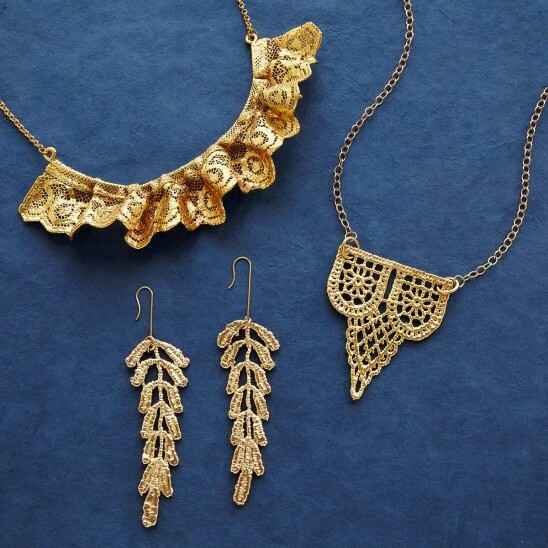 I’d like to share the list which may be useful when thinking about other resources available, here is the link http://boutiquemexico.com/handmade-jewelry-is-a-trend-in-2015/. Hi all, I have tribal brass jewellery called dokra , which has 4000+ years tradition in India ! Please stop with the crappola about casting is not hand made. It’s totally handmade. Just because you can make more than one is not a reason for being not handmade. Making a wax model or buying one. spruing it up. mixing the investment, casting. God forbid it has silver bubbles on it. Filing them off or using a dremel. Then incorporating the casting in a piece of jewelry. Enough with this argument. I’ve done plenty of lost wax castings. It’s not an easy process. A bit more mechanical than soldering bezels but still HANDMADE. Yes, must agree that it’s Crappola that casting is not hand-made… Sorry, but anyone can throw a pre-fabbed charm on a chain or beads on a wire and say ‘see it’s hand-made’ (yeah, right!) — Meanwhile casting, though machines are involved in many of it’s stages, takes HOURS to do and is often polished and finished by hand as well. Fabulous! Thank you for laying it out! One of the other things that I really love about handmade jewelry is the uniqueness of it. I can go to a jewelry store and by a pre-fab piece and it will look nice enough, but something handmade just has that special look that you can’t get otherwise. Great post !! I think many people do not realize the work that goes into a handmade piece of jewelry. No matter what kind of jewelry !! I enjoyed reading this so much !!! Thank you. Been beading for over 30 years . Owned a bead store for 5 . Now just sellat some shows. I keep getting it’s costume jewelry and I want to say ..no that 500 necklace is pre made and bulk made , mine is made for one individual . Hi, I promote authentic tribal handmade brass Jewellery made by Rural women from India. I am so happy to read this. I have a lot of explaining to do when people think that even a small price tag is expensive and compare with costs on street jewellery. Great article, great way to educate the public. 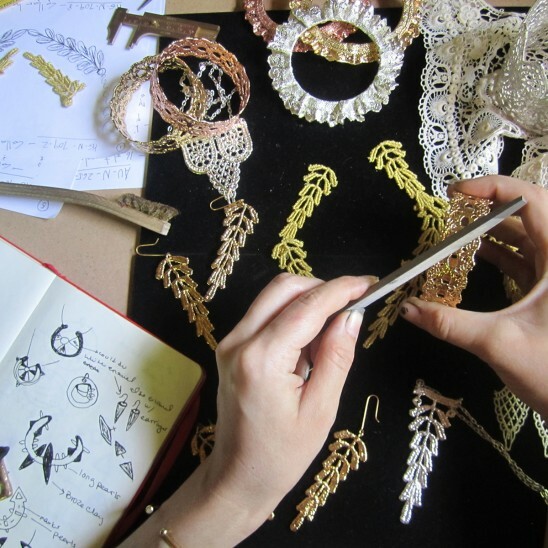 Very informative article … I love handmade jewelry as they very well design and beautiful. to gold filled, and worse. I have noticed a hugh change in what is being sold at the jewelry shows around the country and Tucson shows. I have always selected the best metals and stones I can buy, and will continue to do so, and yes I have a lot of higher priced items because of their inherent value and my growing skills of 25 yrs. Thanks for the wonderful article, that really shows the buyers what goes into this quality art. I would like to see this given to every gallery. Thanks Jane Roberts, in Colorado Springs. Original to the artist and hand made by them takes time. I wish people were more willing to pay for the artist’s time. I hear so often “Why does it cost so much?”. What they really want to know is the materials used in the items, not the time. Interesting conversation although all 7 things are just normal jewelry processes. The misconception here is Hand made. Title and description should read Hand wrought meaning with tools. All of the processes are with some sort of tool. I may come back and comment on each and give my 30 year experience. Please don’t use the excuse of being able to create something that cannot be considered correct jewelry techniques and call it art. Everything is hand wrought. The mass produced jewelry is complicated and precise like the production of chain. Not too many tools that work without hands. Think about it. Enjoy your craft and make beautiful jewelry. As a potter, making my art is a personal process. I am so happy when someone buys one of my pieces and enjoys it. My dad used to say he made 5 cents an hour on handmade furniture and cabinets. Do art because you love it. Do you have a catalogue?? Very interested!! Thanks for your interest, Janet. 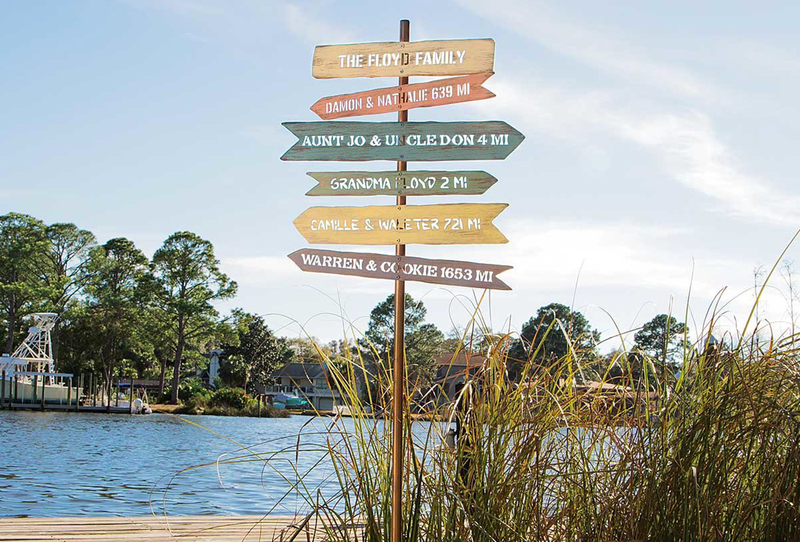 We most certainly do have a catalog, chock-a-block with carefully chosen, uncommon goods! You can sign up to start receiving our catalog in the mail here: http://www.uncommongoods.com/catalogSignup/catalogSignup.jsp. If you’d like to see one right away, or want to save trees, here is our regularly updated online catalog: http://www.uncommongoods.com/static/sitecatalog.jsp. This was an exceptional post! It’s very hard to make customers understand the process and time spent on just one piece and sourcing materials can take just as long. I hope you don’t mind if I share this. We’re flattered that you want to share our post. By all means, please do. I also make Homemade Jewelry, tho I have yet to make a website, its in the works. I am so happy I ran across this post, when I get my website upand running I would love to link back to it and do some excerpts, all with your permission of course. I will inform you when I am ready to post your content. Such a wonderful article!! Interesting blog, Thanks for sharing such a interesting information who much time efforts are required to make a beautiful jewelry. Nice break down on how much effort goes into making each pieces of jewelry. Although it is a hard work, sometime customers complain about tiny little imperfections ( or call it uniqueness) in jewelry i sell, and had to explain to them that handmade stuff will never be identical unlike machine made stuff. there will be some level of uniqueness in each piece. Yes, those little imperfections are part of the beauty of handmade jewelry! Thanks for reading–we’re glad you liked this post. Wonderful post. I have my own handmade jewelry business. It feels so great to see your creations worn by another person. Thanks for your comment, Tracy. We’re glad you enjoyed the post! So handmade jewelries do have an artistic touch and I guess people love to try such antic jewellery. Do you also selling these online or you have any showroom? I appreciate your post. You have shared great information about the handmade jewelry. it has been very helpful .I Have Create My Own Site So Visit Plz. i know about jewelry but not in deep.but this article precisely describes about it.!! Very Interesting post !! Hope you will keep posting more. You have shared great information about the handmade jewelry. Awesome Post! Thanks for giving us the valuable information about Handmade Jewelry. Excellent post about Handmade jewelry, thank you for sharing, really I love handmade jewelry because jewelry makes very attractive and good looking, I have also some idea about jewelry recently I purchased one pearl rings from Timeless Pearl, really its very good jewelry. These pieces are absolutely gorgeous. My wife and I make more common pieces, such as pearl strands, pendant necklaces and also lots of different bracelets. Especially bracelets with charm. People seem to love those. We recently added a blog section to our small store and I certainly would like to reference your resourceful blog in there. truly an amazing post. As I have also dealt in handmade men’s jewelry, so I know the whole improvisation takes place. But as the final result is a premium piece of jewelry, so it is worth everything. This was a wonderful post. I love the gorgeous hand-made jewelry. I hope you will continue to give us more and more. The whole artistic work is wow! Hello, I am Kayla, Head of Customer Experience for Foundry Collective, an online marketplace for New Zealand artisans to sell their products on. This is a great article! Could I share it on our Foundry Collective Blog? I’m sure our followers would be very interested! Hi, Kayla! We’re glad you liked the piece — please feel free to share it! so interesting and beatiful pictures too, I dream to work in such beautiful space with candles and a view! Thanks, Marie! We’re glad you enjoyed the post. Handmade jewellery has been very popular recently. The love, effort and art take it to another level. It might take less investment but definitely will take more time to produce these beauties. This is some really good information about handcrafted jewelry. It is good to know that it would be smart to try to know what types of metal the jewelry is made of. That does seem like a thing that would make a difference in how you price handmade stuff.